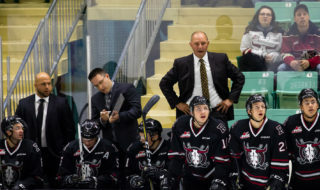 Red Deer Rebels GM/head coach Brent Sutter was impressed with the size, skating ability and overall talent on display during the team’s prospects camp which concluded Sunday at the Penhold Regional Multiplex. “There’s a lot of skill and certainly lots of potential there,” said the Rebels boss, in regards to the attending crop of 26 players aged 15 and 16. “There were some big kids but there was also lots of skill throughout the whole group. Sutter, in fact, didn’t hesitate to label the camp as the best in overall quality that he’s viewed over the years. “We just commented on it Sunday about how this was the best camp we’ve had as far as the speed of the camp with the way these kids can skate,” he said. 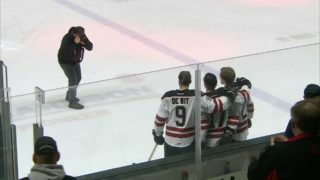 Sutter was especially taken with the group of defencemen, a dozen in all. 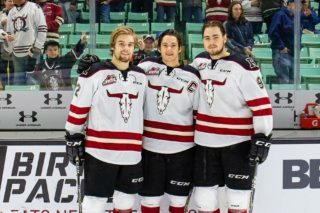 Included were 2017 bantam draft picks Chase Leslie of Camrose and Jace Isley of Grande Prairie, both of whom have inked standard WHL player agreements. “All of these kids are good players. They’re all prospects,” he said. “We expected Leslie and Isley to certainly be good. They’re signed players and there’s a reason we signed them last winter. 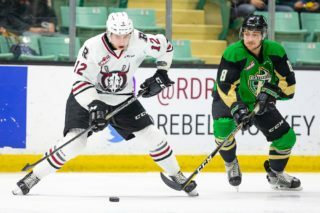 Rebels forward Kristian Reichel and defenceman Alexander Alexeyev experienced success in the NHL draft combine fitness testing in Buffalo, Reichel in particular. The Czech centre placed first overall in the functional movement category with a total score of 19. He finished second and third respectively in the peak power and mean power categories. Reichel, who turns 20 next Monday, was also 17th in the test duration class, 21st in the pro agility left max speed category and 25th in the body fat division at 8.8 per cent. Alexeyev was 18th in the fatigue index category and 23rd in the total functional movement rankings with a score of 17. 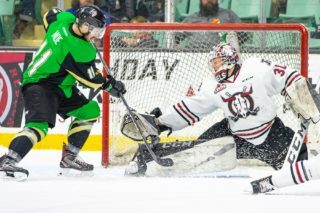 The NHL draft combine started May 28 and ended Saturday.